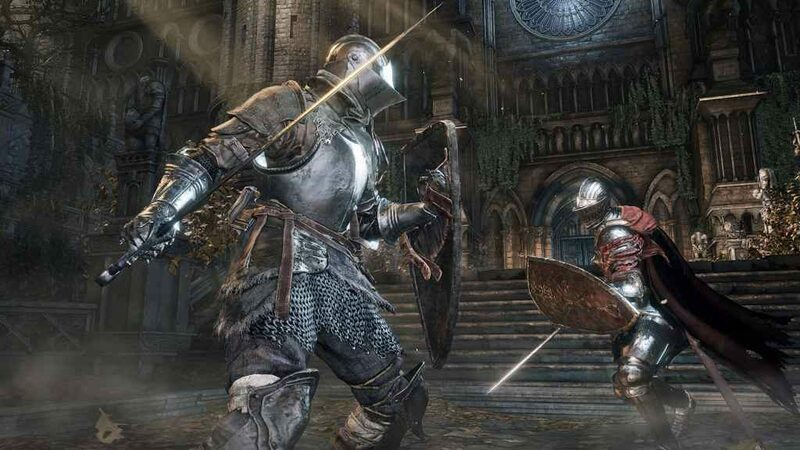 With the European release officially confirmed a week ago today, Bandai Namco has now announced that Dark Souls Trilogy pre-orders are live. That includes both the Standard and Collector’s Editions of the game. Although anyone interested in the latter version will have to get in quick, as only 2000 copies have been produced. Available for the not unreasonable price of £54.99 in the UK, the Dark Souls Trilogy Standard Edition can be pre-ordered from a number of well-known retailers, including GAME. The Standard Edition releases on the 1st March 2019 and comes bundled with: all three titles in FromSoftware’s critically-acclaimed series, all associated DLC expansions, and digital versions of each game’s atmospheric soundtrack. However, at an eye-watering £449.99, it doesn’t come cheap. You’ll also have to wait slightly longer to get your hands on it, due to the time it takes to hand-paint and thoroughly check each of the accompanying statues. Delivery of the Collector’s Edition will, therefore, not begin until the 31st May. Thinking of picking up the Dark Souls Trilogy? Or treating yourself to the Collector’s Edition? Let us know in the comments below.